Langkawi attracts a significant number of footfalls because of its picturesque landscape. The warm temperature and the breath-taking view of the island is soul-soothing, which makes it a must-visit destination of Malaysia. This picture perfect island on the west coast of Malaysia will leave you jaw-dropping with beaches, mangroves, forests, and shrub island. The island is popular because of the wide array of water sports to satisfy the adventure freaks. Read on the prominent adventure activities listed below by DMC in Kuala Lumpur Malaysia. Kayaking in the pristine waters is a great way to admire the unique ecology of Langkawi and work out at the same time. You must plan this adventure in advance as the kayak schedules are planned as per the current tides. The timing is important to access specific caves and go swimming and hiking. The most incredible part of the adventure is the twists and tums of the mangrove forest. You can also see spectacular sea eagles, kingfishers, mudskippers, fiddler crabs, and herons. Canoeing is similar to kayaking but the difference is you can be a single participant. Kayaking involves a team of 30 members. Canoeing is just about floating in the water and calming your mind and body. You can also undertake many other activities such as fishing, birdwatching, and photography. 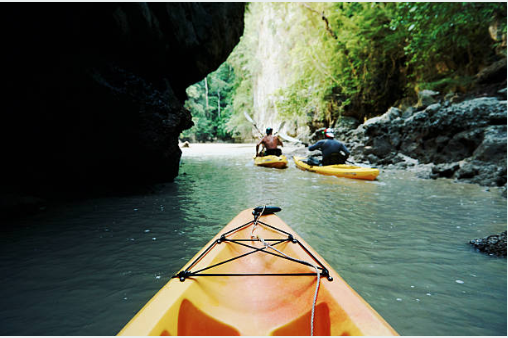 It is for sure that you will never regret canoeing and it's going to be cherishable memory. 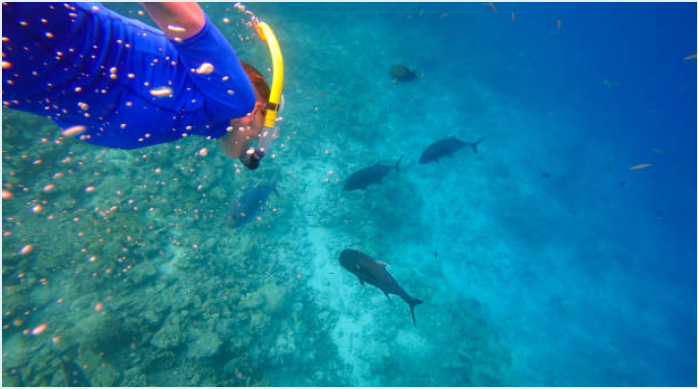 Snorkeling is an adventure sport that can be enjoyed by any person irrespective of age and gender. Imagine how exhilarating it would be to take cheeky dive into the crystal clear water of Andaman Sea. Reaching back to the main island is not a problem due to various catamaran facilities and speed boats. Langkawi is the perfect spot for snorkeling because of shallow coral making, and opportunities for BBQ, campaigning, and picnic. 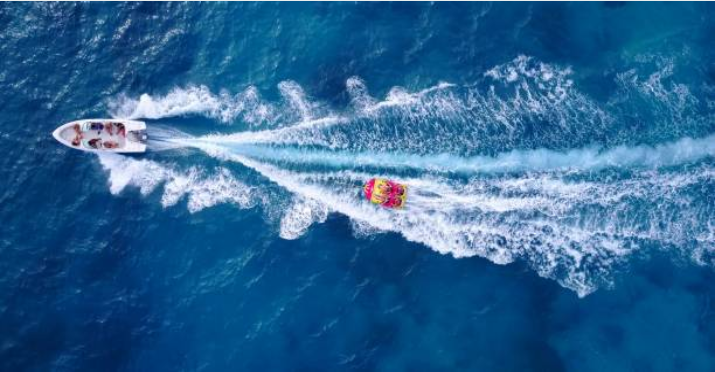 Langkawi is an ideal destination for parasailing. Almost all the beaches provide the parasailing tours but you will get the best experience on Langkawi island. There may be a lot of risks involved in this adventure activity so choose your tour operator wisely. Well, research on social media and choose the best inbound travel agent in Kuala Lumpur Malaysia for a well planned holiday. The thrill that you experience when lifted close to 500 feet above sea level is exhilarating. It is worth investing money and time to explore the flying-like-a bird experience. Jetskiing is must for extreme adventure lovers and if you're the one then don't miss it. Get set to ride the water dragon to the moon. There are no words to experience the thrill of breaking through the water waves while enjoying the stunning landscape of the picturesque caves. Do not miss the chance to ride past Langkawi's most beautiful caves and sandy beaches. This outrageous sport will surely give you an adrenaline rush besides taking you to more than 20 islands. 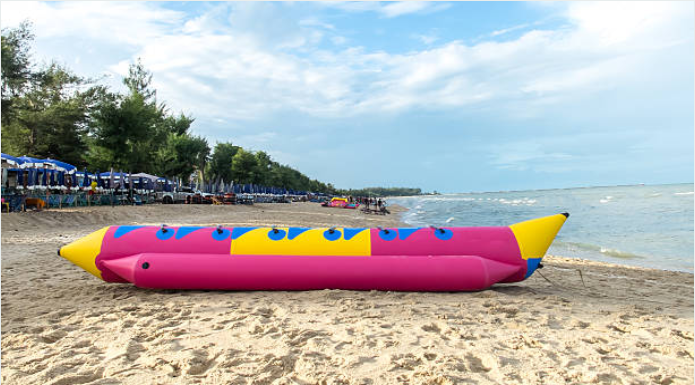 A banana boat is shaped like a banana and is inflated before the ride on the freshwater lake surrounded by beautiful mountains. The driver will flip the boat by executing sharp turns. The challenge is to hold yourself for a longer period when it is towed by the powered boat. Isn’t it exciting and fun? Do not worry as you will be wearing life jackets all the time. Besides great action on the water, you can enjoy the calm sea, blue sky, and hot sunrays. 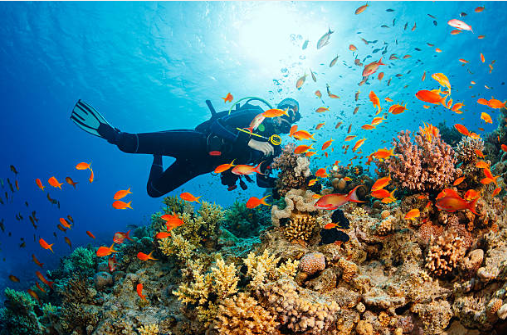 If you want to explore the Langkawi's marine life closely then you have no option of missing scuba diving. Pulau Payar Marine Park is popular for scuba diving excursions and enjoying the colorful corals. It is great for fun and relaxation but the best time to visit this place is between March and November. Sunny weather gives you good water visibility and best landscape to view. This site is also popular for snorkeling and watching the reef shark feeding session. Langkawi is the paradise on earth and a wonderful destination to enjoy the exquisite beauty and breathtaking view of sceneries. Therefore, tour operators in Malaysia make best efforts to help you enjoy the beauty of the sea to an in-depth level. However, do adequate research to choose the best tour operator in Langkawi & Penang. Contact the best DMC in Kuala Lumpur Malaysia., who offers top-notch service and enjoy these exhilarating adventure activities to fill your life with fun, happiness, and unforgettable memories. © Copyright, GMTC. All rights reserved.